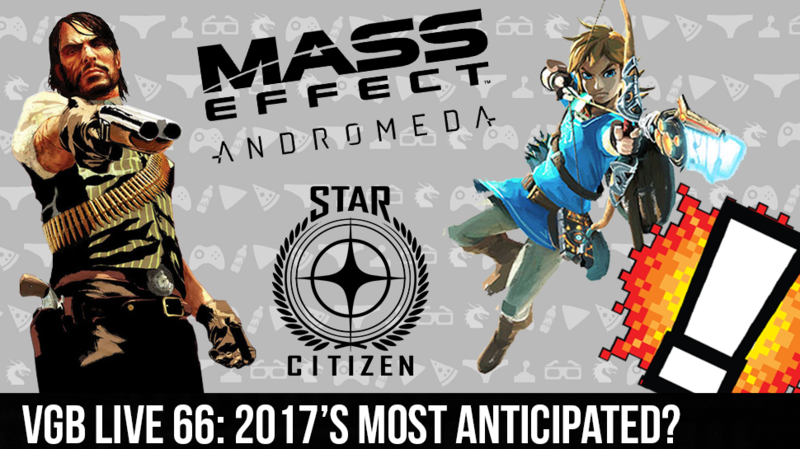 VGB LIVE 66: 2017’s Most Anticipated? This weeks Weekend BANG! Is going to give you a glimpse into the future as we go over a few titles of 2017. Sir Aaron Carter, Cory Vincent, The Real David Webb, and Steven G are all in attendance, and the inner critics are ready to come out. The BANG GANG! starts out with a some life news from our very own David Webb, and where he’s gonna lay his hat. Then we get right into banging around the web, and show how great the gaming community can when we all stand together. From there we take a peek into the future and go over some of 2017’s most anticipated games. Will Webb be late now that he has a new place? Can we make is a whole show without talking politics? Will Nintendo ever resupply their new NES classic? Find out all that and more on this week’s Weekend BANG!